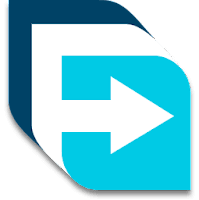 Free Download Manager (FDM) is a powerful download accelerator and manager that allows you to download files and whole web sites from any remote server via HTTP, HTTPS, and FTP. Using Free Download Manager you can boost all your downloads up to 10 times, process media files of various popular formats, drag&drop URLs right from a web browser as well as simultaneously download multiple files. In addition, It offers advanced features and allows you to adjust traffic usage, organize downloads, control file priorities for torrents, efficiently download large files and resume broken downloads. Free Download Manager is compatible with the most popular browsers and integrates into Google Chrome, Mozilla Firefox, Microsoft Edge, Internet Explorer and Safari. Bug fixes: HTTP downloads (login info), UI, moving downloads, context menu, etc. Disclaimer: Direct downloads for the lastest version of Free Download Manager 5.1.32.6573 are provided by the official software's author, we can't guarantee safety, availability or download speed. Moreover, we don't and we won't provide any pirated/illegal versions or tools. We recommend you to avoid it as these methods can harm your device. If you like the software, buy it to support the developers. (We provide software discounts for many worldwide brands).